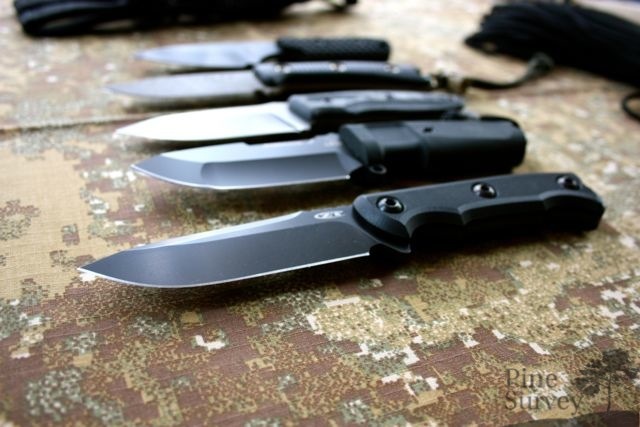 It is fair to say that Rick Hinderer is a name you need to know in the knife community. The same applies to the high quality knives of Zero Tolerance. So it comes to no surprise that the community was highly enthusiastic when both of these high profile names joined forces. By now this collaboration bore fruit to some very interesting folding knives and flipper designs, which gained global popularity. 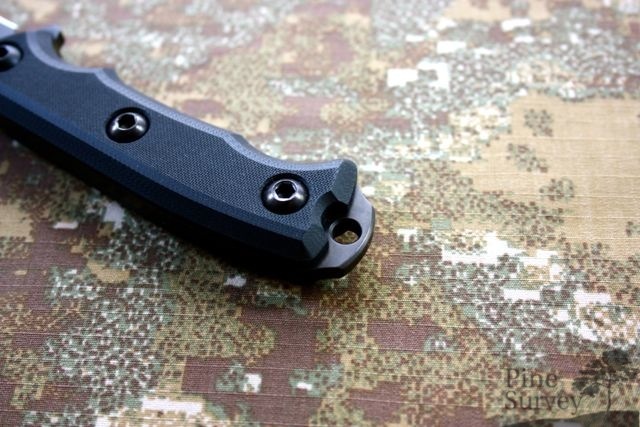 With the ZT0180 there is also a fixed knife design by Rick Hinderer available for some time now. 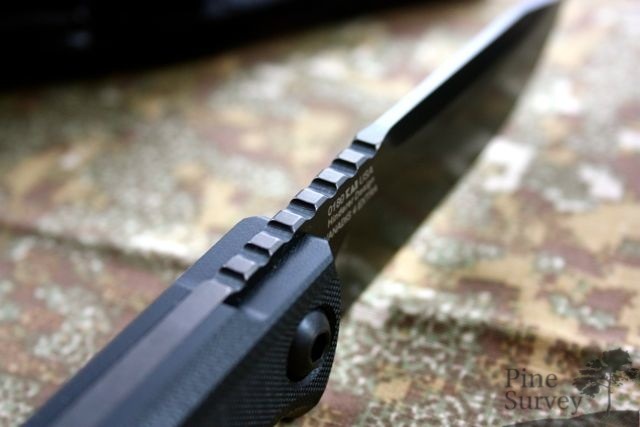 I was able to check this knife out at IWA 2014 and even talk with Rick about it. Insofar you can imagine my enthusiasm that I am able to hold this knife in my hands now. Thanks to Robert from SARTOOLS, who could get me one. Overall length: 23,4 cm, 9,2 in. Blade length: 10,7 cm, 4,2 in. Thickness of the blade: 4-5 mm, 0,25 in. 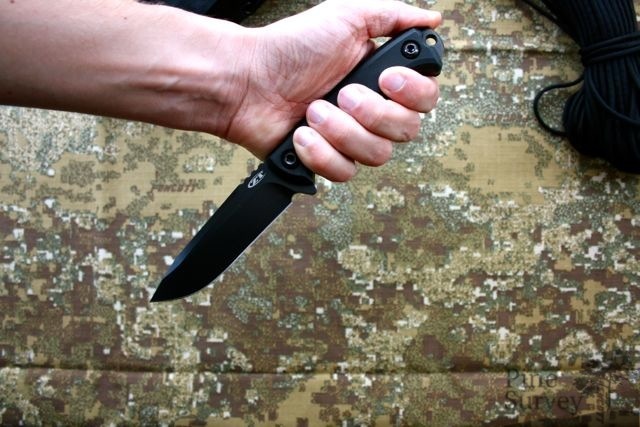 The knife is supposed to be a shorter and altered version of the Hinderer Fieldtac, which is only available at shows regarding to official remarks. If you look closer at both knives though, one might see the significant differences which can be found especially at the shape of the blade and handle as well as the choil. To be honest I have to wonder where the connection to the Fieldtac is supposed to be, but let us not dwell on that. The only thing showing some familiarity are the finger grooves at the handle. 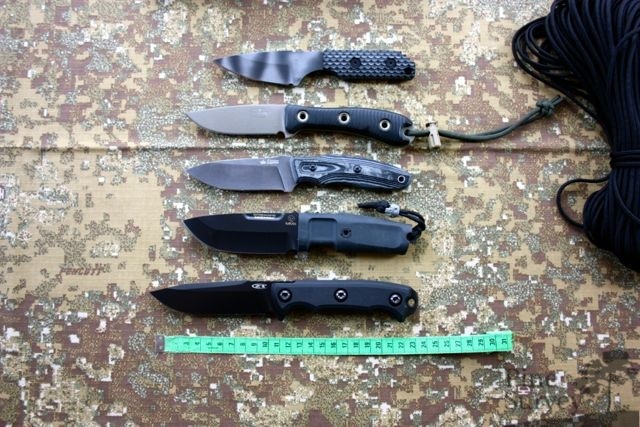 To give you a comparative view with other knives in this size I took a little group picture. 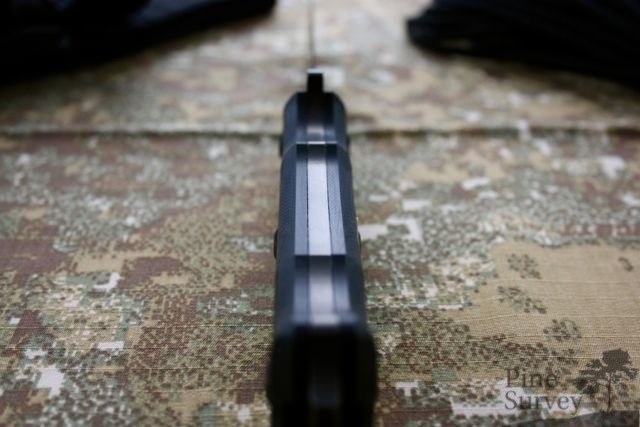 Contrary to the Fieldtac the ZT0180 has no choil. The jimping on top is similar though. You can find a distinct swedge at the spine but it is fair to say that it isn’t a false edge. Bordering the handle you can find the modell number, the steel and the serial number laser engraved into the blade. 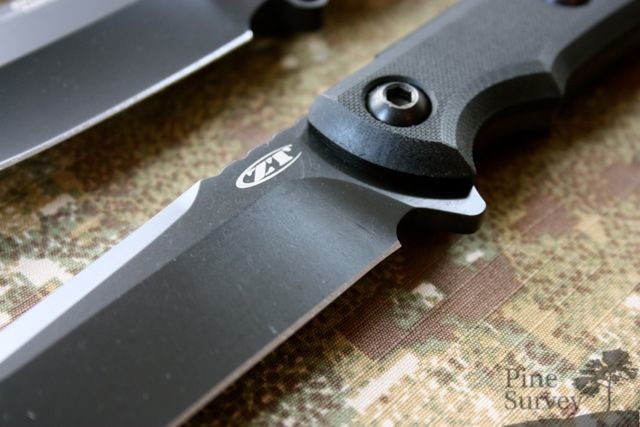 At the opposite site there is also the ZT logo engraved. In conclusion it should be added that the blade is DLC coated in black. 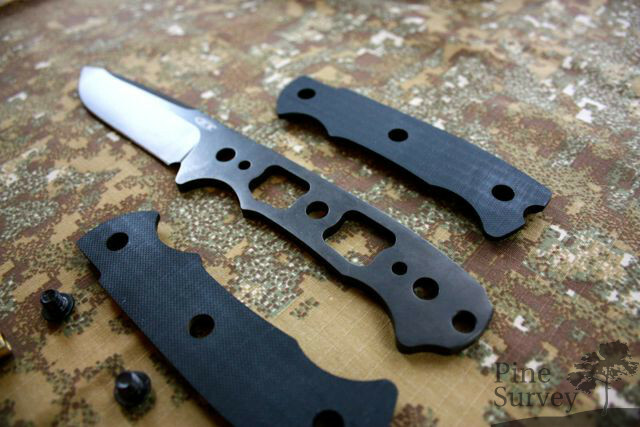 The handle features massive G10 scales which are screwed into the tang with three thick allen screws (4mm or 5/32) on each side. You can take the scales off without problems but you should use a second allen key to hold them or the srews will only rotate. Here you have a picture with the removed scales, all the screws and sockets. The handle of the knife features a very characteristic shape which allows a better grip. There is one groove for each the index finger and your pinkie, and a larger groove for the middle and ring finger. 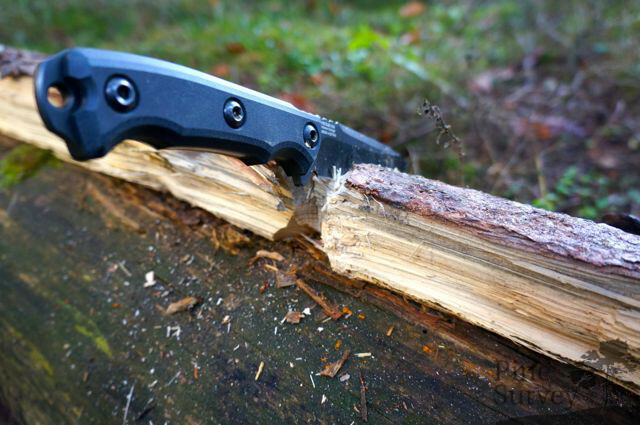 All in all these features result in a very comfortable and secure grip of the knife. Rick told us at IWA that he wanted this thicker handle to achieve exactly this kind of optimal feel. In my opinion this was achieved sure enough. As mentioned now several times, the knife feels and handles extremely well. One last thing, before I forget it. At the and of the tang there is a hole for lanyards. As usual with ZT the workmanship is top notch. The grind is symmetrical and the jimping clean and the scales are all flush fitting. 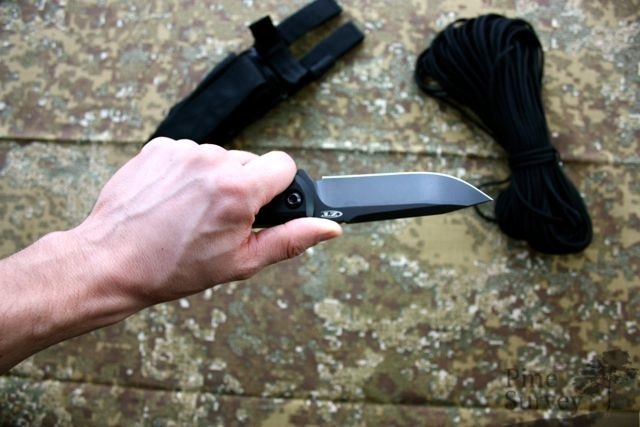 The sheath is made by Spec.-Ops. Brand and was thoroughly reviewed by me here. The constructors at ZT thought about an own design at first but realised that there is a ready product already offered by the market. 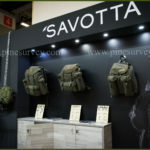 Basically I am holding the sheaths of Spec.-Ops. Brand in high regard. The “mini” version however leaves me with ambivalent feelings. 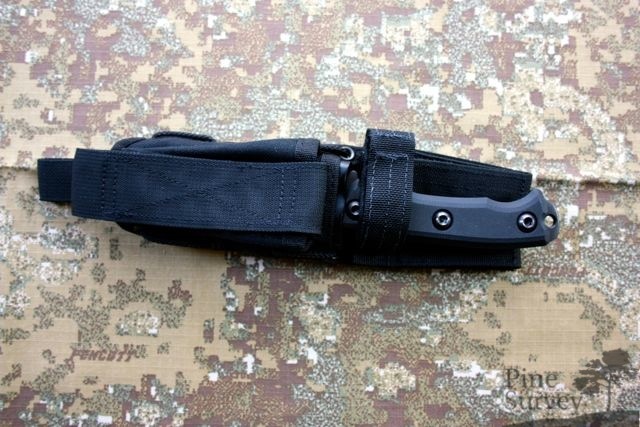 Except from the ER TFDE 2010 and 11 I could not find a knife which fits into this sheath without propper fitting measures by the user. 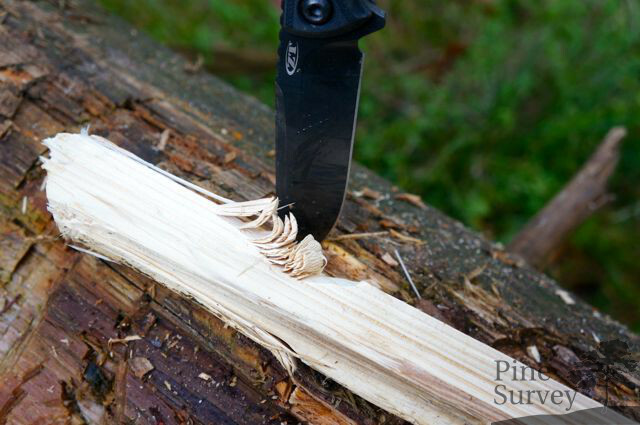 If you insert the knife into the sheath in a natural way from the side and not straight through the middle of the opening, you basically stab one of the rivets and glide over it into the mid. 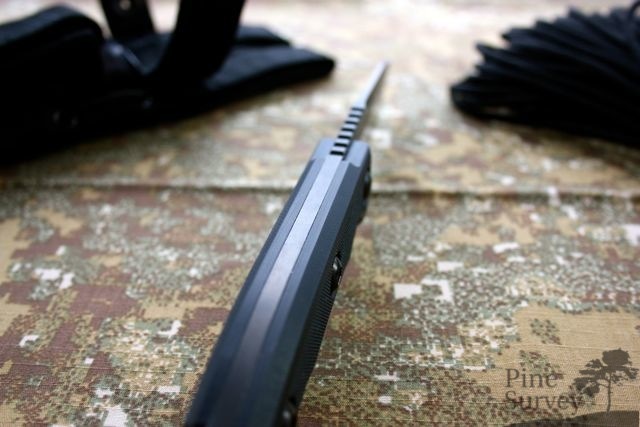 Since the inlay is compressed at the spot of the rivet one can only hope that the tip does not take any damage (not likely considering the Vanadis 4 steel). Either way this leaves a bad aftertaste. I have to mention also that this is complaining at the highest level, but it should be mentioned for the sake of completeness. 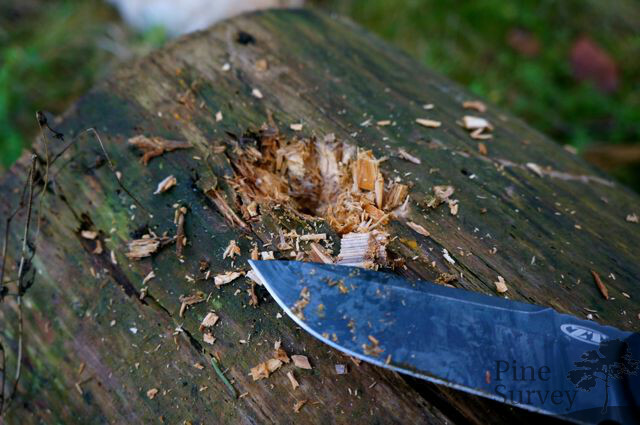 Let’s get to the first impression after a practical use of the knife. As mentioned several times before the knife is very comfortable and fast in the hand despite of the weight. 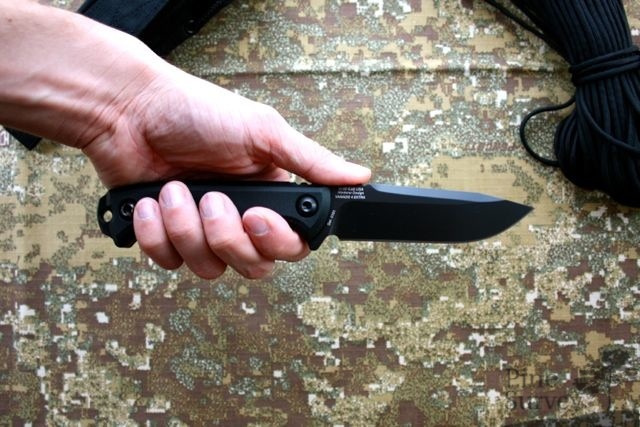 You can manipulate it easily – fast changes in grip are no problem and you never get the feeling that you might loose the knife. Due to the missing top heaviness I left the chopping part, which does not mean that the grind and sharpness would prohibit this. Especially slashing strikes are surprisingly good with this knife. In the video you can see it only for a second but the hazelnut stick was slashed with one strike and it was at least 2cm/1.5” thick. Subsequently I applied the stick to the trunk and was able to shorten it without a problem with a few blows. Even the tip was unimpressed during my stabbing and drilling into the dead trunk. After all these different uses I cut up some cardboard at home. Alltogether there were three cardboards with different thickness from standard to heavy duty cardboard for heavy delieveries with 1cm thickness. 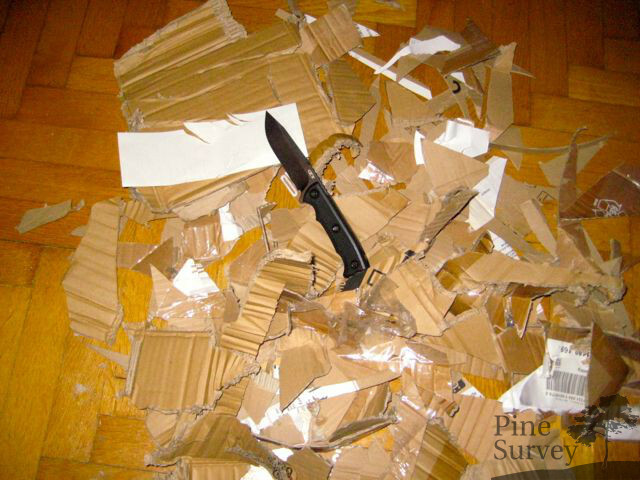 Everyone who uses his knives intensely will know, how much the edge of a knife is stressed by cardboard. After this three cardboards there was a sufficient edge still there. The knife sliced without problems through paper, but it wasn’t able to shave any hair. At the same time there were some spots on the edge that were duller than the rest as a result of my personal way of using the knife. While slicing the paper there were some spots where the knife tore more than it sliced until it came to another spot where the edge was sharp again. After a treatment with my sharpmaker the knife was razorsharp again. Since the steel is from a different sort, the sharpening process lasted a little bit longer than usual, but not so long that I would have perceived it as tiring. Good things come to those who wait. For a long time we were waiting for this knife – at least I was not disappointed. I love knives with character, because there are not so many left. Vanadis 4 is supposed to be similar in its properties than CPM 4V regarding the opinion of different sources. I have no own opinion about this since my experiences with both steels are limited. The edge retention speaks for itself though, and also all the stuff I put the knife through since I have it. 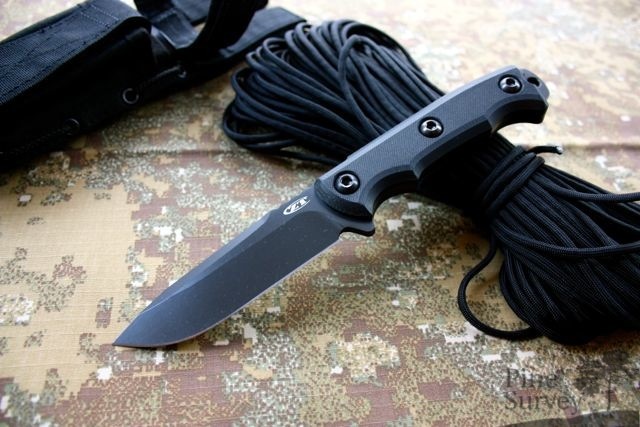 In my opinion you should be prepared for most of the tasks in the field if you take this knife and combine it with a multitool (the possibility to carry one with you is available to the added pouch on the Spec.-Ops. Brand sheath). It is no replacement for a hatchet (it isn’t supposed to) but the knife can hold its ground in its scope of duties for sure. At this point I would like to give my thanks to Robert for getting me one of the few ZT0180’s and also you for taking the time to read this. Hopefully I was able to give you a better impression of the knife. Thanks! 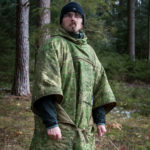 PreviousReview: Helikon Tex Gunfighter Softshell	NextMerry Christmas and a happy new year!